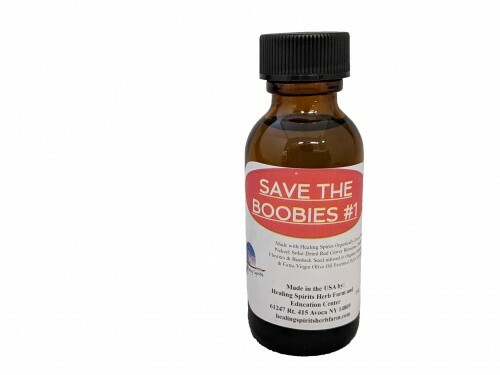 Using infused herbal oils is an easy and pleasurable way to keep your breasts healthy, prevent and reverse cysts, dissolve troublesome lumps, and repair abnormal cells. Breast skin is thin and absorbent, and breast tissue contains a great deal of fat, which readily absorbs infused herbal oils. The healing and cancer-preventing actions of herbs easily migrate into olive oil—creating a simple, effective product for maintaining breast health. Made with Healing Spirits organically grown, hand picked and solar dried Red Clover Blossoms, Dandelion Flowers & Burdock Seed infused in Organic Grapeseed Oil & Extra Virgin Olive Oil with Essential Oil of Lavender.